Pier of a former railway bridge. 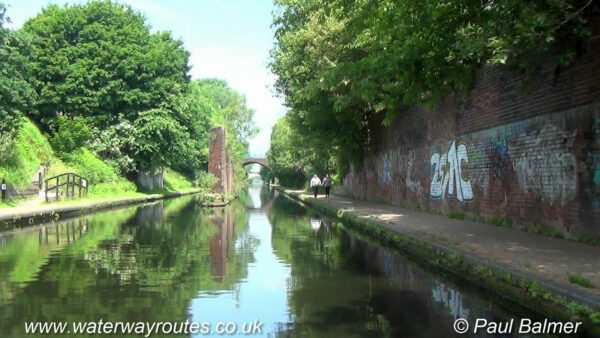 The pier of a former railway bridge still stands in the middle of the Birmingham Canal Navigations (BCN) Main Line. The railway branch linked Harborne to the main railway lines into Birmingham and opened in 1874. Passenger services stopped in 1934, but freight traffic continued until 1963.